Finding a Relaxing Game? Park of Monster is Your Choice! A new free mobile game Park of Monster is available now in APP Store, you can experience it now if you are interested in mobile game. But before you start play Park of Monster, I want to share the features with you. This game is about "merging" and "purify the pollution". The main goal of players in this game is to get strong monsters by "merging", and to control them to clean the pollution of the world. There are 4 features you need to know because they are the game mechanics. 1.Merge low-level items to high-level items, gradually evolved till they become the world “miracle”. 2.Over hundreds variety of items to collect, this game is the best for collectors. 3.The output and growth of various items are closely related, the interesting merge process is full of expectation and surprise. 4.Ancient monsters are vary in appearances. There is the cute Licker, but also fierce Twin Head Dragon. 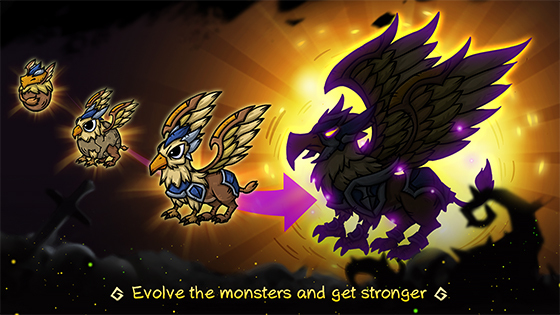 These monsters are extraordinary and the attack system looks very interesting. I consider that the pleasure of being a savior and winner is the main reason of its popularity. If you want to enjoy a different game experience, then why not try it?